The Best of The Gili Islands! 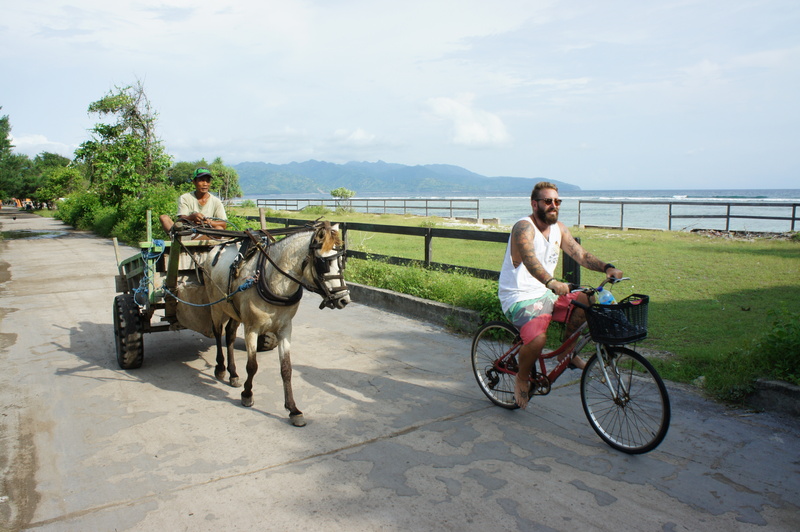 Gili Trawangan is small enough that you can walk all the way around it in a few hours, but why not hire a bike to make the trip instead! You’ll see tourists and locals alike choosing this method of transportation as motor vehicles aren’t allowed on the island! 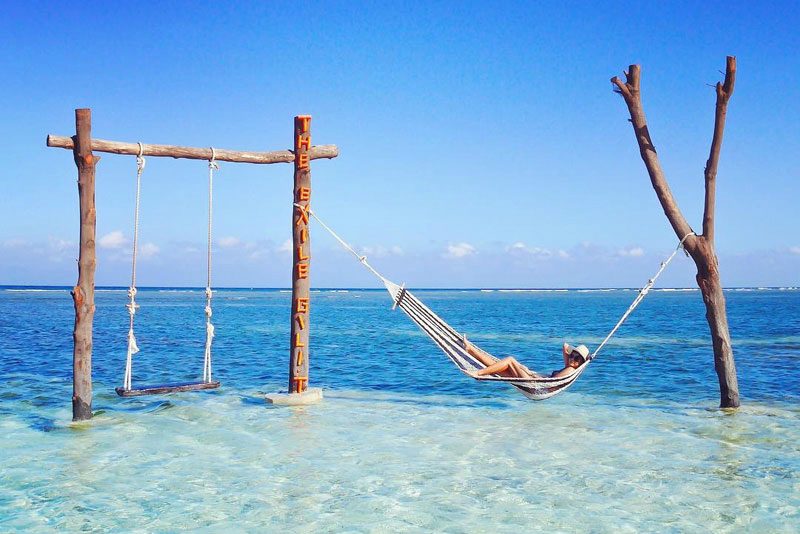 The Gili Islands are known for their incredible sea life and reefs. Wether you choose Scuba Diving, Snorkelling or Free Diving, you won’t be disappointed! 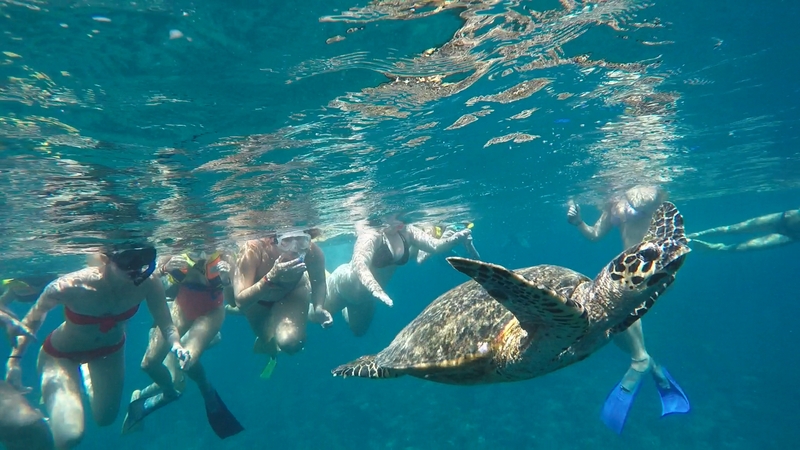 Bonus: you are highly likely to spot a sea turtle or two whilst you're marvelling at the multicoloured coral and fish. The Gili Islands bring the most beautiful sunsets with an array of different colours night to night. 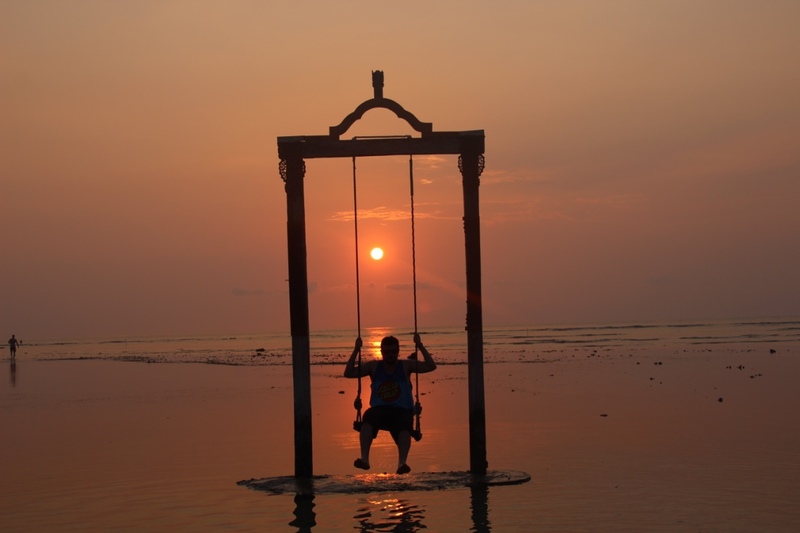 Get to one of the Sunset Swings that are scattered across the Islands beaches for the iconic shot that is often used to showcase Bali's beauty. 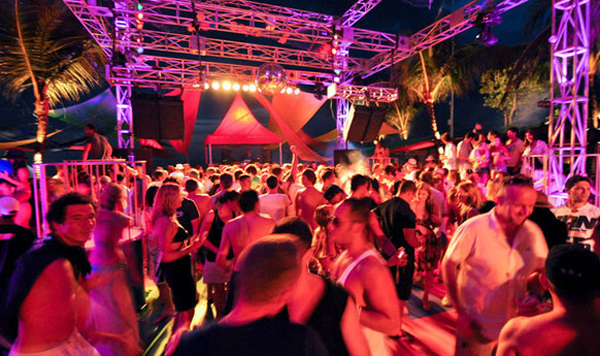 Gili T has a unique nightlife scene. From live music at Reggae bar Sama Sama, to beach parties at the Irish bar Tir Na Nog, Gili T has it all! 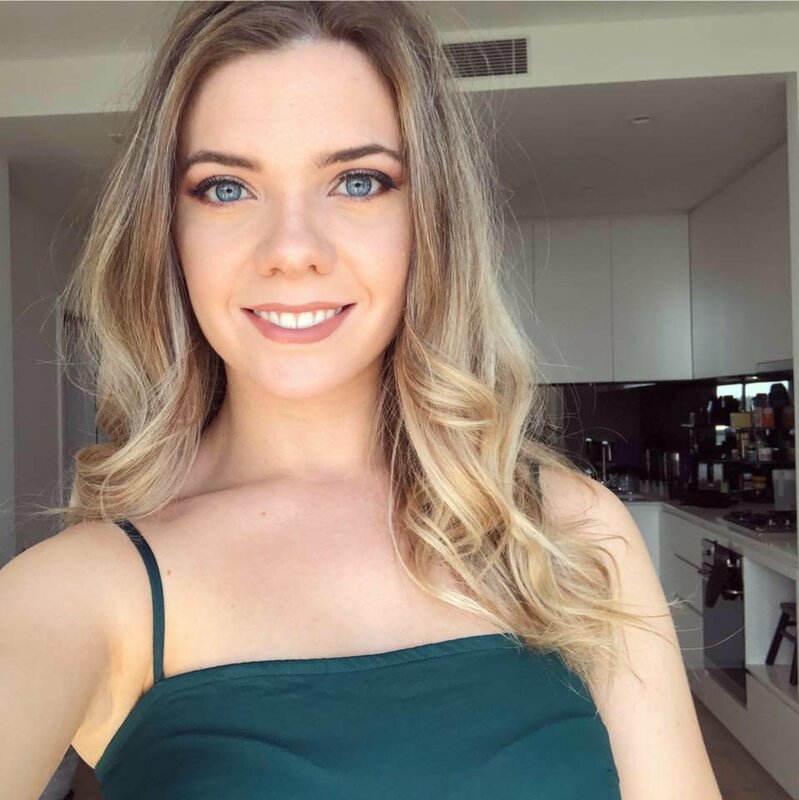 You should find it easy to get in the know about what is going on, with hand outs and signs to let you know where the beach parties, pool parties and drinks deals are going to be each night. Don’t miss out on the amazing local food on offer at the night markets. The fish is some of the freshest you’ll ever eat since it’s caught in the waters off the Island daily. 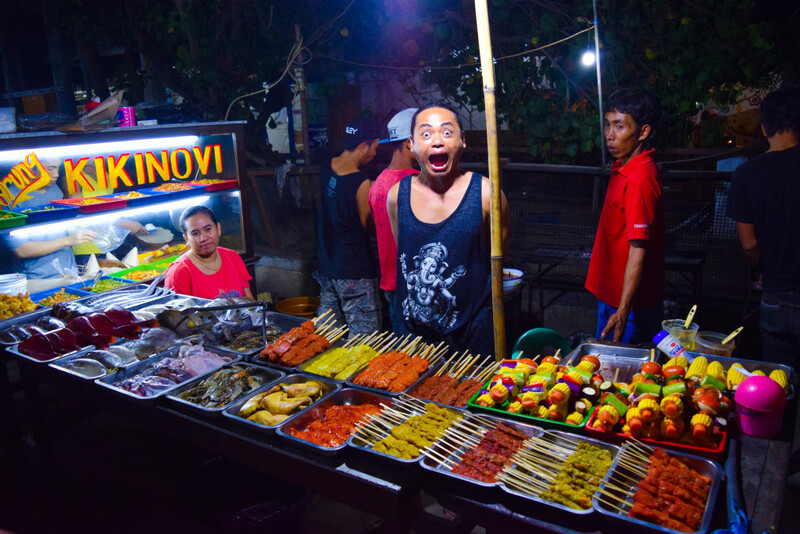 With cheap prices and authentic Indonesian dishes, eating at the night markets is a must do! Explore the crystal clear waters that surround the Islands. With Kayaks, Canoes and Stand Up Paddling, the Gili Islands aren’t short of epic water sports to try! If you’re feeling a little more adventurous, have a go at Kite Surfing or Wakeboarding! Make sure you get the best of your Bali trip by doing a group tour, you can check out what else is included on our Bali tours here!